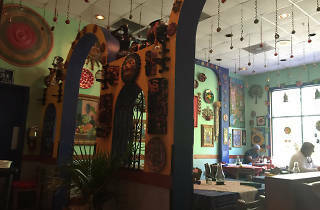 Paquito is yet another surprising strip-mall find. And once you do it discover it, there’s no going back. 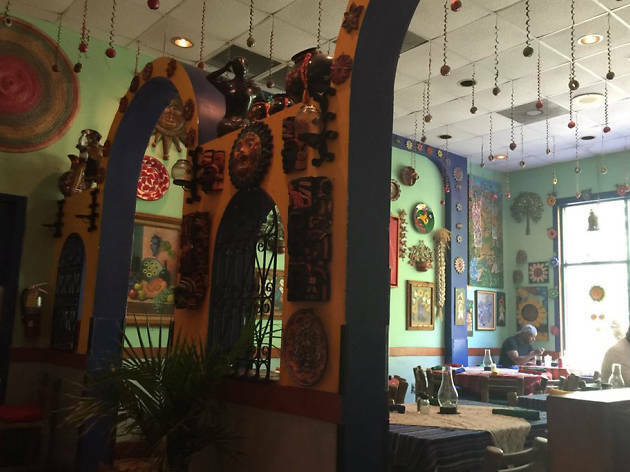 Although the dining room feels like something out of a Frida Kahlo memoir—colorful walls plastered with knickknacks and ornaments—the menu reads mostly like a collection of present-day favorites, like burritos and enchiladas. Peppered in with the ordinary you’ll find family recipes for mole, a signature sauce that takes hours to prepare when done right. Worth skipping over, however, is the list of burgers and fried chicken that undermines the otherwise traditional menu.